A group of twelve children were playing on a playground at their childcare center when a six-year-old girl fell from the structure and severely broke her arm. Two teachers were supposed to be supervising the students, but were in the middle of a conversation when the accident occurred. It turned out the girl was attempting the walk across the monkey bars, lost her balance, and fell. If the teachers were supervising properly this injury never would have occurred. An estimated 500,000 children are injured on playgrounds every year. Over 200,000 playground injuries require treatment in emergency rooms. 15% of injuries treated in emergency rooms were classified as severe. Fractures, contusions, abrasions, and lacerations make up almost 75% of all playground injuries. Children four years old or younger account for over 50% of all injuries. A critical component to playground safety, aside from supervision, is maintenance. For more information on making sure a playground is well maintained, be sure to read about playground inspections and maintenance requirements. 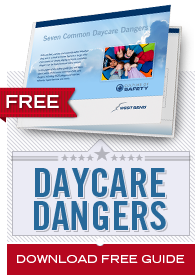 Maintaining supervision is the only way to keep children safe on a playground. Anytime you’re supervising children distractions will arise. If, for whatever reason, your attention is required somewhere other than the group of children, you need to identify an alternative. For example, if a child is injured on the playground you’ll need to take your eyes off of the other children to address the situation. If this occurs, make sure another employee is there to continue supervising the children or get the other children off of the playground equipment as quickly as possible. 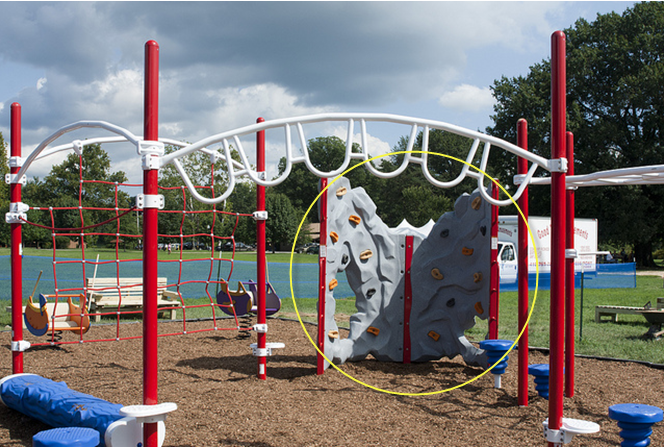 Another important component in ensuring safe playgrounds is proper positioning. If certain areas are out of view, reposition so as much of the playground is visible as possible. Obstructions like trees or parts of the playground will hinder the ability to observe the entire area at once, which is why it’s so important to position staff appropriately. In the picture to the right you can see an example of a playground element that would make it difficult to see the entire playground at one time. From the angle this photo has been taken from you can see almost the entire playground, but if you were to stand on the opposite end you wouldn’t be able to effectively supervise by yourself. People watching children at the playground often strike up conversations with one another. This situation hinders supervision since both adults are distracted and certain areas will not be completely supervised due to inadequate positioning. Conversations should be kept to a minimum. Texting, talking, and browsing on a cell phone while supervising children should be prohibited. Just as is the case with lifeguards and texting, people watching children on a playground must know that using their phones can significantly reduce their ability to effectively watch children. If you oversee a staff that supervises children, consider adding a zero tolerance cell phone policy to your employment manual. After all, bad things happen when childcare providers and parents text around children. Maintaining adult-to-child ratios is very important in ensuring playground safety. Depending on the number of children playing on the playground, the amount of staff will need to increase accordingly. Even if the entire playground is in view of staff, providing appropriate supervision is impossible if there are too many children to watch at once. The geography and location of the playground.